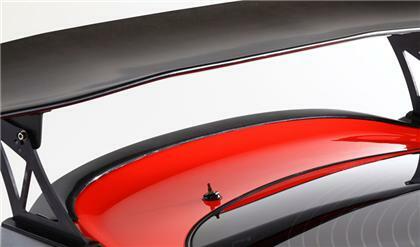 Rear trunk spoiler is composed of carbon. It is designed and manufactured by RIDOX, a company by Varis. Trunk spoilers are designed to increase performance by creating more downforce, enhancing handling during high speeds on race tracks.